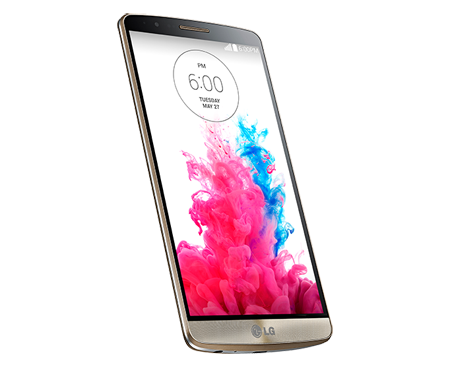 LG G3 Review After Samsung and HTC, LG launched its flagship phone for the year 2014, LG G3. 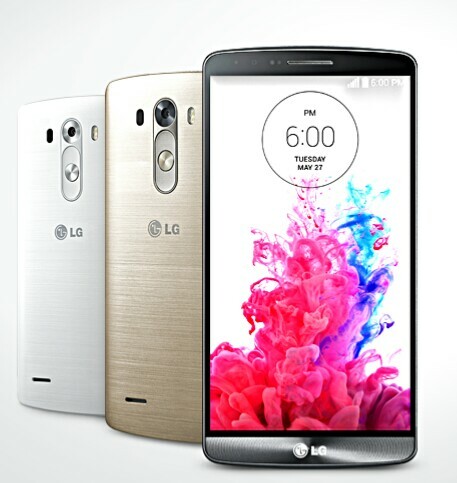 The LG G3 is the first phone to feature a QHD display and a laser autofocus camera worldwide. We have seen the QHD display in Oppo Find 7 earlier, in some part of the world. 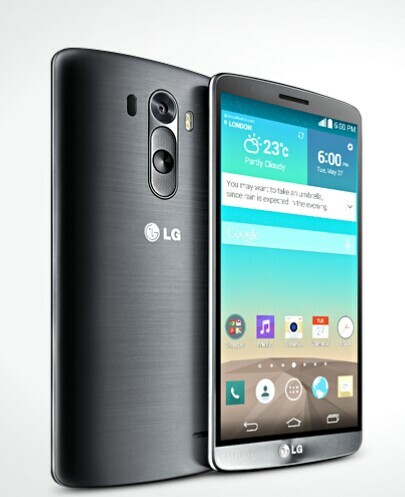 LG G3 Hardware The phone has Qualcomm’s Quadcore snapdragon 801 processor which clocks at 2.5 GHz. They provide a 2 GB RAM for the 16 GB variant and 3 GB RAM for a 32 GB variant. There is though a bit improvement in performance in 3GB RAM variant compared to the 2GB RAM version. The phone performs well with a 2425 Geekbench 3 score and 16382 in 3D mark unlimited benchmark. The performance fall shorts in comparison with Galaxy S3 but LG’s intention to ensure batterylife and to optimize the G3 from overheating justifies the slight gap in performance. Let alone the benchmarks, the device performs well in real life with low issues with the loading and usage of apps. LG G3 Ergonomics The design is an extension of LG’s tag line for G3 “Simple is the new smart” and as expected no wonders there. For a 5.5 inch device it weighs just right at 149 gm, along with slim bezels and tapered edge gives it an overall light feeling. G3 is a bit widthy which make it difficult sometimes to use it with single hand. The volume rocker and power button is placed in the rear which is hard to get along at first but with time you will find it impressive and we must admit LG is effort in this unique design. The 3.5 mm headphone jack and micro USB is placed at the bottom. Opening the removable back panel will reveal the micro SD and mini SIM slots along with a removable battery. The plastic used gives a cheap feel and don’t feel premium for the price range it is listed on, but the overall ergonomics of the G3 is impressive. LG G3 Display Contradicting their tag line LG has not gone simple with the display at all. In fact they become a pioneer in introducing QHD display worldwide. 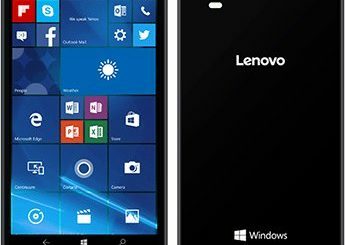 The display boasts 2560X1440 resolution with 534 ppi pixel density but falls short in brightness, contrast ratio and black level. The usage of IPS LCD display sometimes compromise in sharpness. Display performs excellent in daylight, natural color reproduction is quite good and has a decent viewing angle. The display’s power consumption is expected to be a concern; LG addresses it with intelligent power saver display which reduces battery drain when there is no activity. They claims the display to be 20% efficient than other QHD screen. LG G3 Camera LG G3 has a 13 MP camera with dual tone flash. The real revolution is in the Laser autofocus, which helps the camera to focus in low light environments. It does so by enhancing contrast detection with a low power laser. 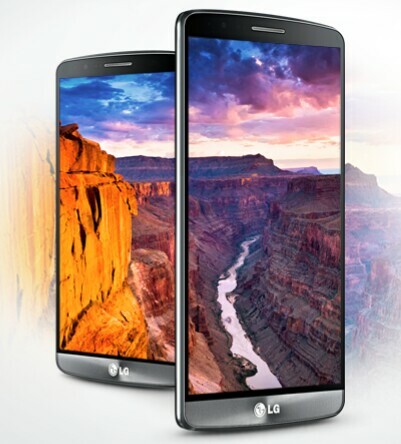 The LG G3 bundles an easy to use camera app which has auto focus, magic focus, panorama and dual modes. It also has 120 fps slo mo video and 5 min 4K video recording capability.the camera app can be opened by pressing the volume down button. It has a 2.1 MP front camera custom made front camera which also gave great low light images and can be controlled with gesture and voice control. LG G3 Software The G3 runs on Android 4.4.2 along with their reworked Optimus UI, the rework seems to be working as it give an up to date feeling. Swipe down menu has a fused settings toggle, notification centre, and Qslide app. Knock code is a new way to unlock the device apart from pin unlock in G3. The point of knock code is to secure device from unauthorized unlock by tracking the residue pattern in pattern unlock. Knock code works to unlock the device with sequential taps in the touch screen. Qslide is another app which let you open apps like browser, stocks, phone, calendar, calculator in the foreground of the existing app. Smart Notice app offers tips and advice based on location calendar and usage. Split screen mode can be activated by pressing and holding the back key but LG limits the list of apps which you are allowed to use in split screen, the list include email, message, youtube etc. Smart keyboard in G3 has included the option to pick your input position in the text field by double tapping and then moving left or right. It will analyze your typing habit and after full learning of the habit it will give 75% accuracy in prediction to avoid mistakes, though this will take time to show its magic. LG G3 Speakers and Mic The earpiece offers a good quality loud and clear sound. Mic is also good and there is an extra mic for active voice cancellation. The loudspeaker is a bit disappointing. LG G3 Battery life It has a 3000 mAh battery which is expected to give a good performance but QHD display hold backs to deliver an average performance. The phone asks for a daily recharge since the full charge will only lasts that much. If not for the quick recharge and battery saving mode the battery will score below par. 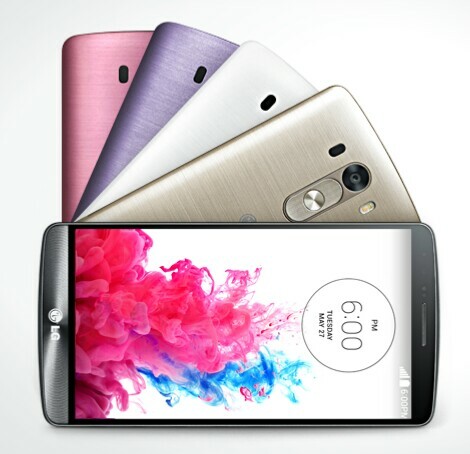 LG G3 Connectivity It supports 4G, Wifi 802.11 a/b/g/n/ac, Bluetooth 4.0, NFC, Infrared blaster, that means you can now download remote control app and use it to control different gadgets, and microUSB 2.0 instead of USB 3.0 port. The phone is Slimport compatible which lets you connected to the TV. It also supports USB on the go for USB storage. So to wind up with the LG G3 is a good phone and the QHD display, its ergonomics and the camera with Laser focus scores some good points but the battery, built quality and loudspeaker is not up to the mark. Considering the price it is cheaper than its competitors. This is the best phone from LG so far. LG G3 is a good phone and the QHD display, its ergonomics and the camera with Laser focus scores some good points but the battery, built quality and loudspeaker is not up to the mark. Considering the price it is cheaper than its competitors. This so far is the best phone from LG so far.